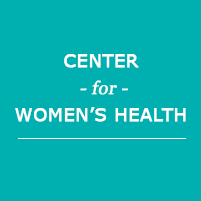 The providers at the Center for Women's Health go to great lengths to offer various preventative services in addition to their primary care options. Pap smears are provided as often as necessary for all women who schedule an appointment for a thorough physical examination. A pap smear is used to identify the presence of abnormal cells on your cervix. If you live in Oxford, North Carolina and the surrounding neighborhoods are encouraged to schedule an examination and have a pap smear performed if needed. How often should a pap smear be performed? A pap smear is an important test that’s used to identify abnormal cells on the cervix, but the United States Food and Drug Administration has changed the length of time between pap smears from one year to two. In the past, you were encouraged to receive pap smears every year during your annual gynecological exam. Studies began to show, however, that receiving a pap smear every two years was just as beneficial. Abnormal cells don't always indicate the presence of cancer, although the test is one of the primary ways the providers check for the disease. If a pap smear comes back indicating the presence of abnormal cells, further tests will have to be performed to identify the potential cause. In some cases, a second pap smear may indicate no abnormalities at all. What does a pap smear show? During a pap smear, the providers will use a special tool to scrape cells from the surface of the cervix. The cells will be put on a slide and sent to the lab. A pap smear is performed to determine if there are any abnormal cells present. Abnormalities can appear due to infections, exposure to certain types of birth control, or mutations within the cells that indicate a potential cancer risk. If any type of abnormal cell is present, they may perform a second pap smear or choose to do a colposcopy. A colposcopy takes an actual piece of tissue from the cervix, much like a biopsy. The lab will perform tests to determine if the abnormal cells indicate an increased risk of cancer. When should you have your first pap smear? Most healthcare professionals agree that you should receive your first pap smear on or near your 21st birthday. If you're sexually active at an earlier age, you may have a pap smear performed if they believe it is necessary. You should continue to receive pap smears during your childbearing years. If you have a hysterectomy in which your cervix is removed, there's no further need for pap smears to be performed. The healthcare providers may, however, choose to continue to perform pelvic exams to determine if there's a need for hormone replacement therapy and to stay on top of various symptoms associated with menopause.